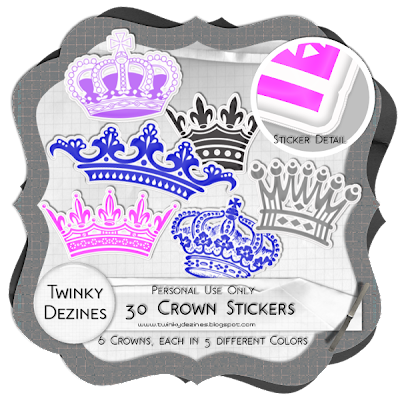 Twinky Dezines: New Item in the Stores! I have uploaded a new item to the stores. These are personal use Sticker Crowns. There are 30 of them, 6 different designs, each in 5 different colors. Use them for all your personal design needs and what a bargain at only $1!!! You can grab them in any of the stores I sell at, links on the right of the page.